It’s that time of year again. Time to stop and take a moment to look back over the past year. 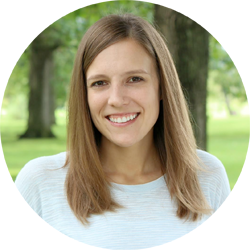 I know a lot of people say this, but it’s hard to believe that another year has already come and gone! Looking back over the posts from the past year brought back lots of memories remembering what was going on when each post was written. Unlike last year when it was all sweets, there was a good variety this year of desserts, breakfasts, snacks, main dishes, and a side! So here they are. 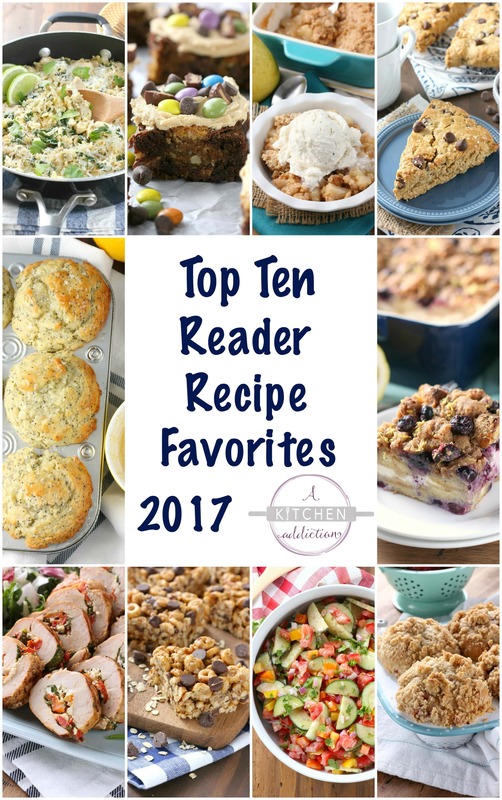 . . your favorite recipes of 2017. 10. 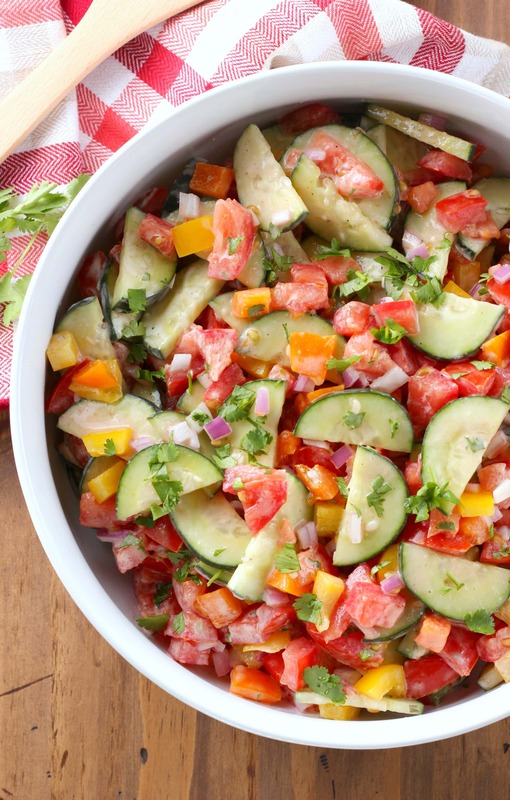 Creamy Ranch Tomato Cucumber Salad –Quick, easy and full of fresh flavors, it’s easy to see why this one slipped into the top ten! 9. 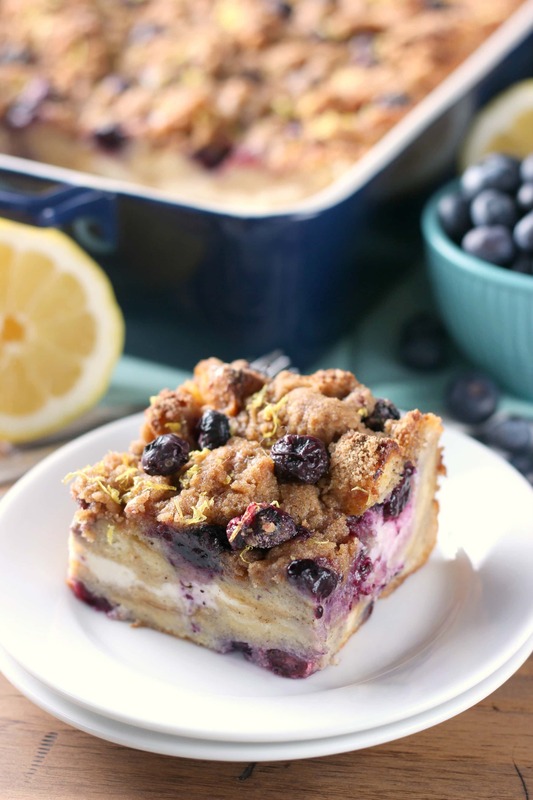 Blueberry Lemon Cream French Toast Bake — This french toast bake is one of my favorite breakfasts and you all let me know that blueberry lemon is one of your favorite combinations! Look for more of that flavor combination in the coming year! 8. 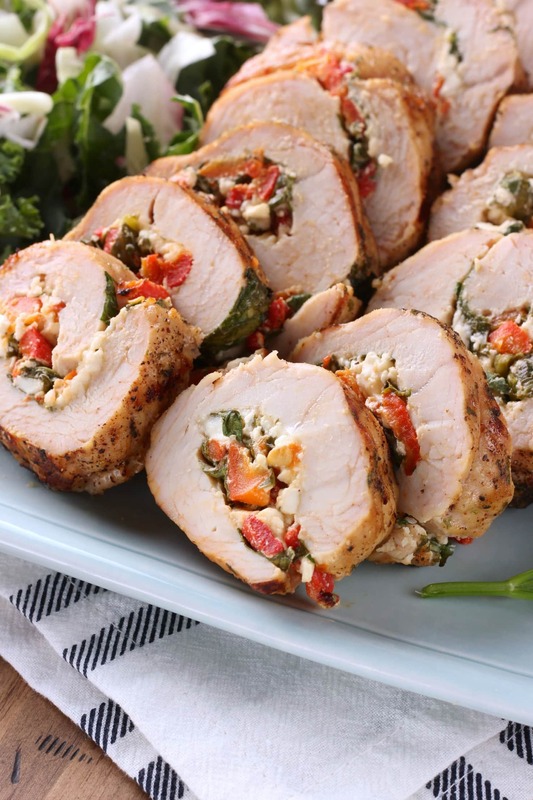 Spinach Feta Stuffed Grilled Turkey Tenderloin— I was excited when I saw that this grilled turkey tenderloin made it into your top ten! This recipe was probably one of my favorites from the year! 7. 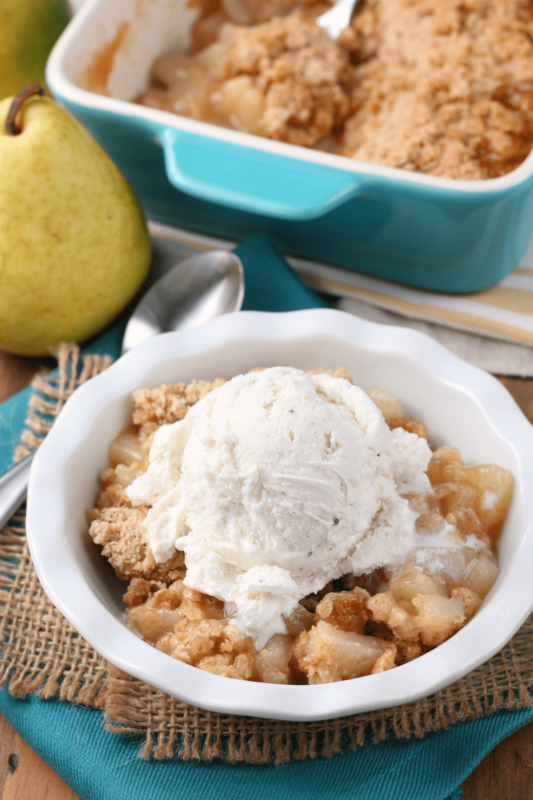 Honey Pear Crisp — This recipe got an image makeover this year and apparently the new pictures looked more appealing than the old ones! 😉 Quick and easy, this honey pear crisp is great any time of year! 6. 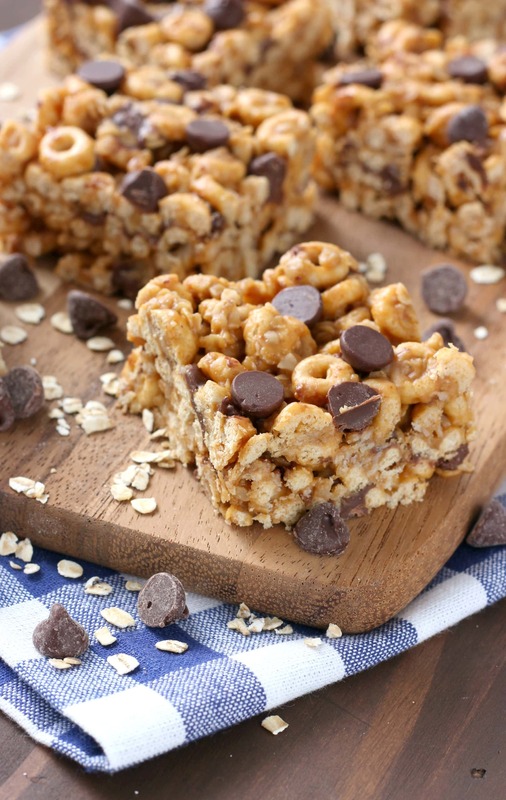 Chocolate Peanut Butter Honey Cereal Bars — Whether you want to eat them as a breakfast bar, a quick snack, or a healthy dessert, these versatile cereal bars climbed into your top ten almost as soon as they were posted! 5. Peanut Butter Chocolate Chip Oatmeal Scones — These scones were another recipe that got a bit of an image makeover this year. 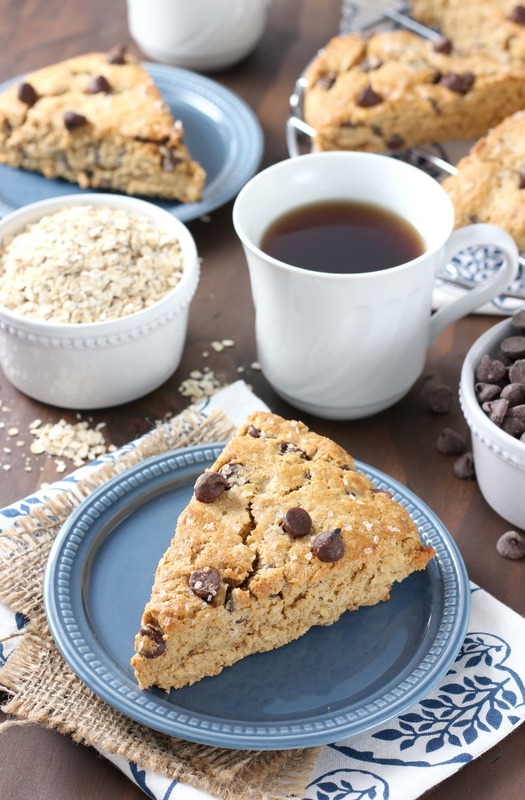 The classic combination of peanut butter and chocolate combined with oats makes these scones a great start to any morning! 4. 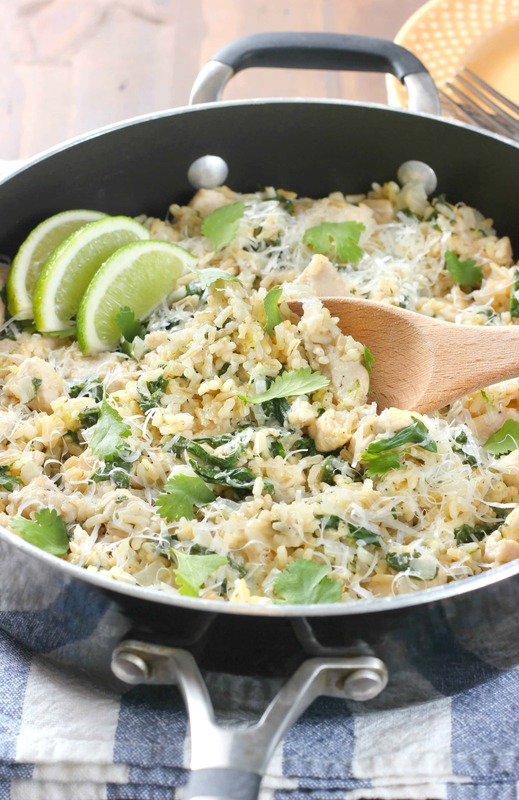 Cilantro Lime Chicken with Rice Skillet — This quick and easy meal quickly became a favorite at our house, and I just had to share it with you! From the emails I’ve received, it seems like your families like it as much as mine! 3. Loaded Peanut Butter Monster Cookie Brownies — I couldn’t resist these brownies, and, apparently, you guys couldn’t either! 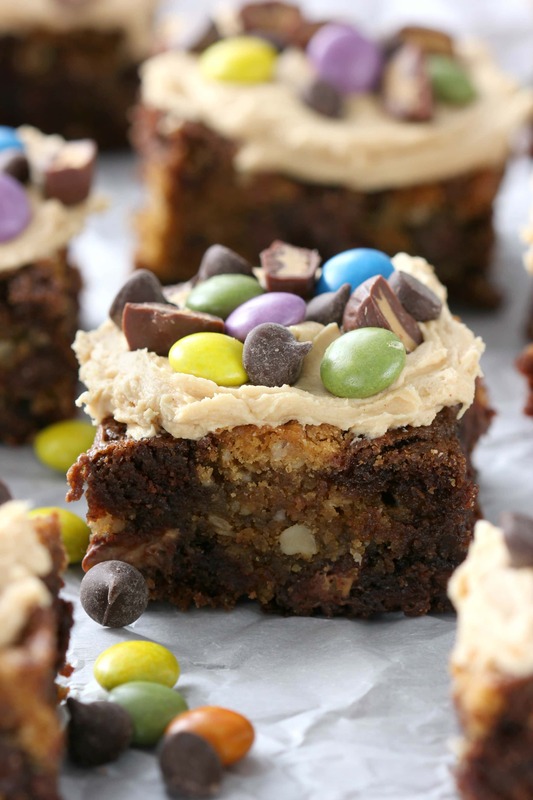 Fudgy brownies and monster cookies smashed together into irresistible bars! 2. 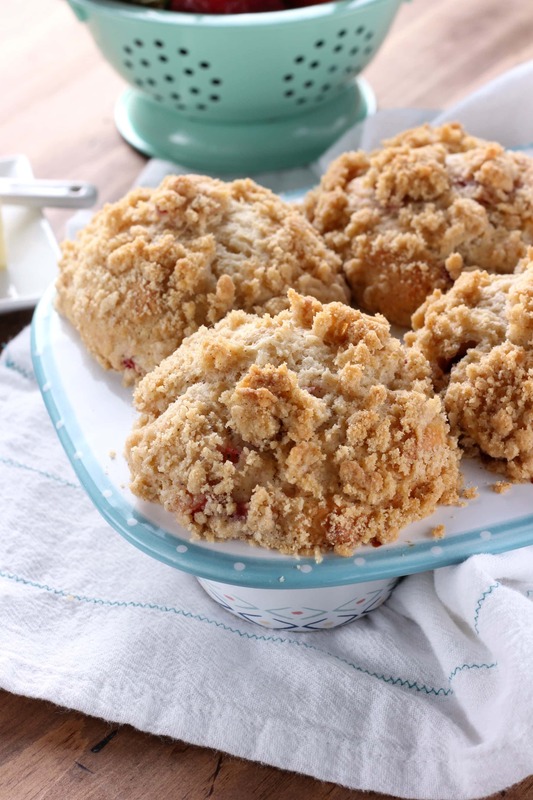 Bakery Style Strawberry Crumb Muffins — Just like the Lemon Poppy Seed Muffins that made the number one spot this year, these bakery style strawberry crumb muffins were a favorite of yours as soon as they were posted! 1. 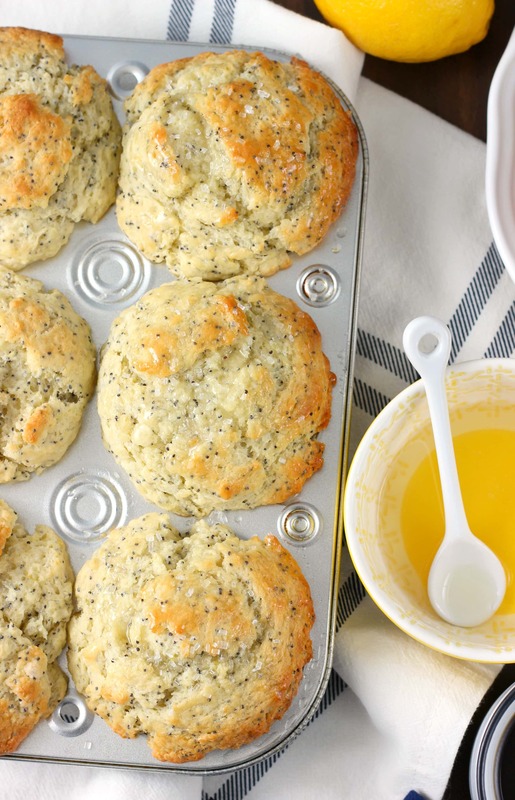 Bakery Style Lemon Poppy Seed Muffins — These muffins have been popular ever since they were posted at the beginning of the year! Apparently we all like good, classic muffins! Thanks for making another year possible! I appreciate each and every one of you for taking the time to write emails, stop by, leave comments, and support A Kitchen Addiction!